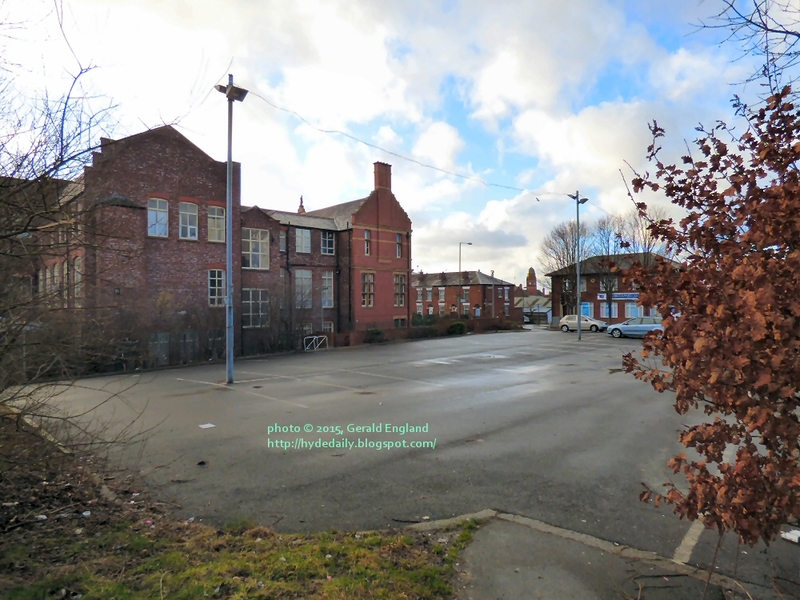 This car park, viewed from the end of Ward Street, is on the site of the former Hyde Baths which opened in 1889 and closed in 1984 and was later demolished. On the left is the former Hyde Library with buildings at the rear which have been variously used as a college and for council services. Library services have now been moved to the Town Hall which is visible beyond the corner of the car park. More information can be found on Hyde Xtra. A contribution to Our World Tuesday and ABC Wednesday. The library should have stayed active in that building- it has a lot of character. I'm happy to hear that the library still exists. I was privileged to meet and hear Tess Gerritson at our local library. She does that in order to show how important libraries are.